The Bituriges were a tribe of Celtic Gaul with its capital at Bourges (Avaricum). Their name supposedly meant "kings of the world". Early in the 1st century BC, they had been one of the main Gallic tribes, especially in terms of druids and their political influence. But they soon declined in power as the druids were an important target for Julius Caesar in his conquest of Gaul. At some point, they seem to have split, with the Bituriges Cubi lived near Bourges/Berry and the Bituriges Vivisci near Burdigala (Bordeaux). 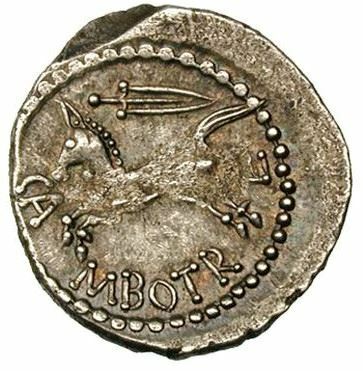 They joined Bellovesus' migrations towards Italy, together with the Aedui, Ambarri, Arverni, Aulerci, Carnutes and Senones.